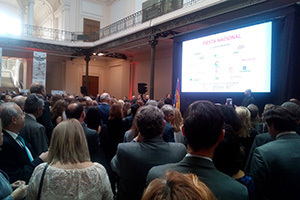 On October 12, the Embassy of Spain in Belgium organized a reception at the Royal Museums of Art and History of Brussels on the occasion of the celebration of the National Holiday. The reception was attended by local authorities, diplomats, businessmen, European officials and representatives of Spanish public institutions, among other personalities. The Ambassador of Spain in Belgium, Hon. Ms. Beatriz Larrotcha Palma, thanked the attendees for their participation in the National Holiday and highlighted bilateral relations in tourism, business and institutional between Belgium and Spain. He also thanked the companies and sponsoring institutions for their collaboration in organizing the event. 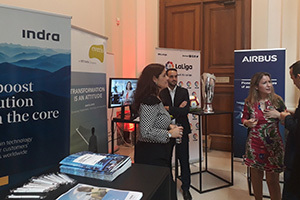 The event, in collaboration with the Official Chamber of Commerce of Spain in Belgium and Luxembourg, was sponsored by Food of Spain, Airbus, ElPozo, Everis, Iberdrola, Indra, LaLiga, Santander Bank, Gómez-Acebo & Pombo, Interparking , Freixenet, Atrevia, Quality Media Production, Mediterranean, Chamber of Commerce of Spain and Bodegas Verum. Also, the offices of the Autonomous Communities in Brussels contributed to the success of the act thanks to the contribution of products and typical wines of each region.